Mildred Leola Stack Yost, 88, passed unexpectedly at Genesis Healthcare in Salisbury, after a long battle with dementia. Born December 19, 1929, in Millingport, Stanly County, NC, Yost was the daughter of the late James O. and Bessie Lowder Stack. She attended Boyden High School, was a long time employee of Earnhardt’s Superette and retired from the VA Hospital in Salisbury, NC as Agent Cashier. After her retirement, she traveled extensively, including Alaska, Russia, Germany, France, England, Holland, Belarus, Moscow, Finland, Sweden, Poland, Korea, and many places in between. 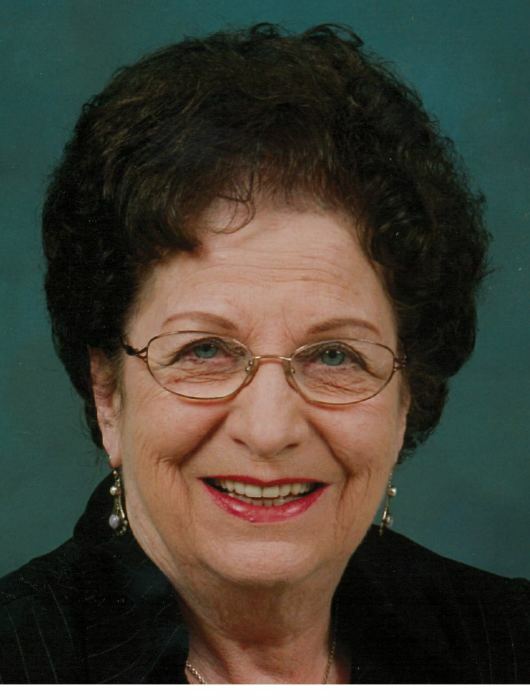 She was a member of Haven Lutheran Church and was past President of the Harold B. Jarrett American Legion Auxiliary and distributed American flags in many of her travels. She was also past La Presidente of Cabane 115 of the La Societe de Femme. She was preceded in death by her husband of 45 years, Arthur Lee “Buddy” Yost and her brother, J. Donald Stack (Ethel) of Camden, SC. Survivors include her son, Gary S. Yost (Merle) of Salisbury, brothers Tony Stack (Gayle) of Kannapolis, R. Dillon Stack (Norma) of China Grove, and Efrid “Bud” Stack of Savannah, GA, grandson Kenneth Yost of Washington state, and numerous nieces and nephews. Service: 2:00 PM Wednesday, October 31, 2018, in the church sanctuary with Rev. Ed Harper and Rev. John Tucker officiating. Burial will follow in West Lawn Memorial Park, China Grove. In lieu of flowers, memorials may be made to Haven Lutheran Church, 207 W. Harrison St., Salisbury, NC 28144.